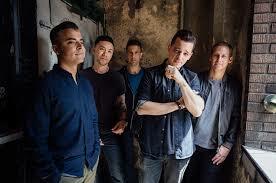 This year, O.A.R are back on the road and this time for their Just Like Paradise tour dates! On this special occasion, the incredible O.A.R. will take to the stage on Thursday 6th December 2018! Make memories that you will never ever forget as the talented band perform at Stage AE – the perfect venue for the blues rockers – book your tickets today to see O.A.R online today!